Four fathers with one thing in common – they are all raising a child with autism. In their own words, they share their struggles and successes…fears and hopes…while projecting a quiet strength. Let them inspire you to do it differently. 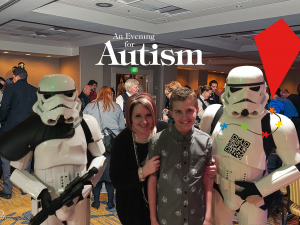 This entry was posted in Autism Activities, Calendar, Events, News and Updates, Other Events. Bookmark the permalink.